I’ve worked in my family business since I was 10, I’m married and have a 6 year old daughter and new little boy. What was your previous pregnancy and birth experience? 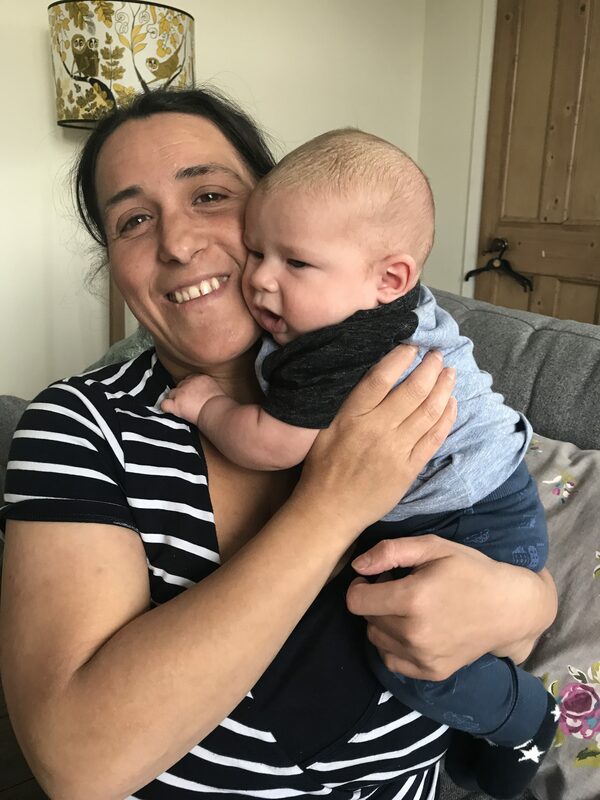 From the moment I fell pregnant with my first child, I had a number of physical issues (skin flaring, hair loss, going to the toilet) and sore hips from early on which went from bad to worse and by 22 weeks pregnant, I was housebound with crutches and needed a wheelchair. I was highly anxious first time being pregnant. I needed to go to the hospital every week due to the pain in the SPD pain. The community midwife gave me a number of membrane sweeps and encouraged me to get an induction due to the pain. The induction process started during the bad winter of 2010 with a gel, then a pessary. Due to the staff shortages because of the horrendous weather conditions, I felt that they didn’t rush the process and it lasted 3-4 days. Eventually I started contracting and dilating slowly. I was given an epidural (which failed the first time), put on an IV drip and was put on the hormone drip. I became really woozy and slept. I woke a while later to find out lots of staff around telling me my baby was in distress and to start pushing. I haemorrhaged losing 2 litres of blood and ended up in the high dependency unit. How did you feel when you fell pregnant again? Very mixed emotions – I waited 6 years to even consider it after the trauma first time round. I was elated to be having another baby but also panicked at the thought of giving birth. What made you decide to get a doula? I was getting support from a kinesiologist who recommended getting a doula. After investigating it, I got in touch with you as I recognised your face and after meeting, decided I really wanted to have you there. When did you think about having a home birth? I hadn’t really considered it and didn’t realise it was a choice until you mentioned this to me. Because of what happened before, I didn’t realise that I had any freedom of choice. What I realised was that I was terrified of going back to the hospital and the procedures and lack of control so by opting for a home birth – it would mean that I could not have to deal with any of that – it was clearly the right choice. Roddy and I read a number of books that you provided. I was too much of a scaredy cat to read them so Roddy read them and told me what was in them. Roddy was very medical beforehand and he became more open to understanding physiological birth and trusting in birth and the body. The books really helped him. It’s been a massive change for him. As you know, we all feel we have to go through the system so it was helpful to have him on side and understand the system and also to understand what I needed for physiological birth. I still felt quite apprehensive about the whole birth. Not about the risks but feeling I had to know all the information so that I could challenge any pressure from the health care professionals. I had so much support from Roddy, Fiona (kinesiologist), my mum and you meant that I felt very confident it was the right choice for me. On the run up to the birth I started to get hip pain, I went to see a cranial osteopath (Patrick) who was so helpful. I tried Pregnancy Yoga but it wasn’t for me. 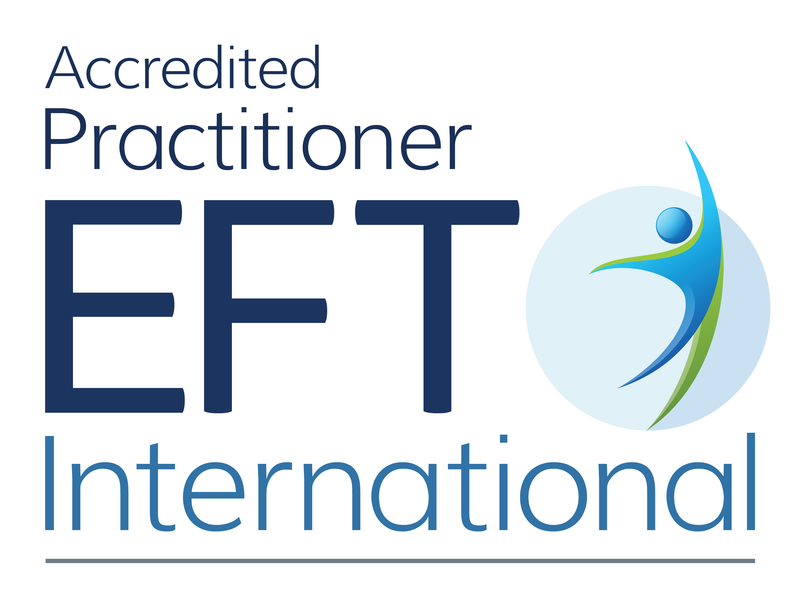 The fear of dealing with the consultants was very prevalent as I was still under consultant care so I found the EFT sessions we did together around coping with the stress of appointments and all my fears around birth. I also found the Birth Trauma Recovery really helpful – I loved that – I really felt a change after that. And seeing Fiona all the way through was helpful too. I worked so hard using affirmations, listening to hypnobirthing CDS, relaxation music – I felt the music was so helpful as soon as I heard it, it immediately calmed me down. The affirmations were all over my house and they really helped me changed my mindset. And I also am a huge fan of homeopathy and found that really helpful throughout. Tell me about the run up to your birth? The health care professionals were worrying because my blood pressure started going up and the growth scan measurements were a bit variable at times although the consultant didn’t seem worried about them. It felt that they were doing everything possible to get me to go to the labour ward although it was the last thing I wanted. I then also got diagnosed with Group Strep B which I’d heard of but really know about and the consequences. They were encouraging me to go to the hospital again so I could get IV antibiotics which I really didn’t want as I’m severely allergic to many antibiotics and I was also so against going to the hospital. After reading the AIMS book, I felt that I wouldn’t even be in labour for the time I needed to be and there’s limited guarantee that the antibiotics would even work so I weighed up the risks and decided to decline that care. Let’s hear about your birth experience…. Friday night I started to get some show which increased over time until the Sunday when it started to get a bit bloody. I felt confident that this was normal. I’d also started getting what I’d heard others experiencing as lightening strikes through my cervix and down my legs and some lower back pain from the Thursday night. The Sunday evening these started about once every 40 minutes to an hour apart. They were so painful but they were only once an hour. I tried at 7pm to go to sleep. We never timed the contractions they were so far apart but each one felt like it lasted about 5 minutes each. They were far apart but long – very non-typical. At 12.19am I woke and they started coming at every two minutes for an hour… At 12.34am I told Roddy to phone you and to phone triage to ask the midwife to come. The contractions weren’t as sore as they had been earlier but they were so fast. There was very little break. My mum was there helping and I was aware that you had arrived. I was going between the bathroom and bedroom – I was standing with Roddy supporting me and felt this huge amount of pressure and intensity as my baby was making his way down. All of a sudden it felt like I was pushing – not consciously – I heard myself groaning and felt my body pushing him – but I had no control over it at all. Roddy noticed that my spine and tailbone were flexing as he was descending. And everyone was a bit shocked as his head was out then before we knew it his whole body was out and he landed on the floor (thankfully well padded!). We didn’t really know what time he arrived at, I think it was about 1.15am. You handed him to me and got me to lie down in bed. I felt really shocked by how quick it had happened and I kept saying to you – I had no idea it was going to be that sore. I sat there in shock for about 10 or 15 minutes letting it all process and then I relaxed. I got tucked up in bed with him and we cuddled up. We were entirely uninterrupted. A while later my daughter came through to see me and meet her brother. She’d heard the commotion. I was so proud that she knew that this is how women give birth and that I had done it. It was wonderful as I got the full golden hour – totally uninterrupted time. The four of us sat in bed drinking tea until the midwife arrived. The midwife didn’t arrive until 2.15am when she got me up to encourage me to deliver the placenta which I did in the bathroom. Any reflections on your birth? It was lovely having Roddy, my mum and you there and whilst I was hoping the midwife would be there, it was really special being us. It was lovey the four of us sitting in bed waiting for the midwife to come. I felt very vulnerable after birth and felt that I was still under enormous pressure to comply with different examinations and tests that the health care professionals wanted me to do. There was very little support for me to take my time and consider what was happening. And there was not enough support with feeding – I didn’t feel there was anywhere near enough breastfeeding support from the NHS and if it hadn’t been for you helping it would have been harder. I’m grateful you put me in touch with a lactation consultant to overcome a very specific problem. What did you family and friends think about your birth? I think they were really surprised by my choices but I had done my research and I was convinced it was the best decision. My mum is totally converted and says it was the best experience of her life. She’s now more passionate about homebirth than anyone else. Nothing – I loved it all – it was so special. I’d love to do it again. Get support in place to help you. Trust your gut – nobody knows your body and your baby as much as you do. A massive thank you to Francesca for sharing her story. It was a HUGE privilege to work with her and support her and be there to witness the massive transition and see such a beautiful birth. I will certainly never forget it.